The story of a baby grand piano who leaves home for the first time to join an orchestra. The local orchestra needs a piano for their concert and Baby Grand is their first choice. 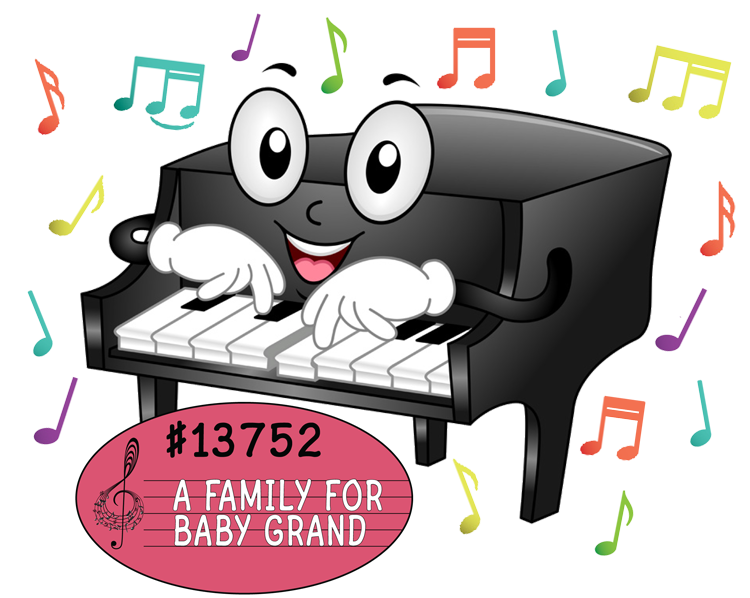 Though separating from Mama Grand seems scary and making new friends is not always easy, Baby Grand makes a thrilling debut -- thanks to the sweetness of Violin, the advice of blaring Trumpet, the friendliness of Clarinet, the humor of big-mouthed Tuba, and the kindness of Flute, who becomes her new best friend. This charming tale introduces children to the sounds and personalities of the instruments of the orchestra with witty dialogue and a snappy score that keep young ears tuned in. Previous performances include: The National Symphony (at The Kennedy Center), The Philadelphia Orchestra, The San Diego Symphony, The Milwaukee Symphony, The Columbus Symphony, The Jacksonville Symphony, The San Antonio Symphony, The Rochester Philharmonic, The Orlando Symphony, The Cedar Rapids Symphony, The Charleston Symphony and others. Recorded by The Rochester Philharmonic. Previous narrators include Paul Shaffer (from Late Show with David Letterman), Lucie Arnaz and Zoe Caldwell ("Lilo and Stitch"). Composer Brad Ross' music has been performed at The Kennedy Center, Carnegie Hall, on many recordings and on Broadway. Author Sharon Dennis Wyeth has had over 50 books published for young people and has been featured on Reading Rainbow. Ms. Wyeth is published by Scholastic and Penguin Random House. Click Here for more information and for MP3s of each movement.